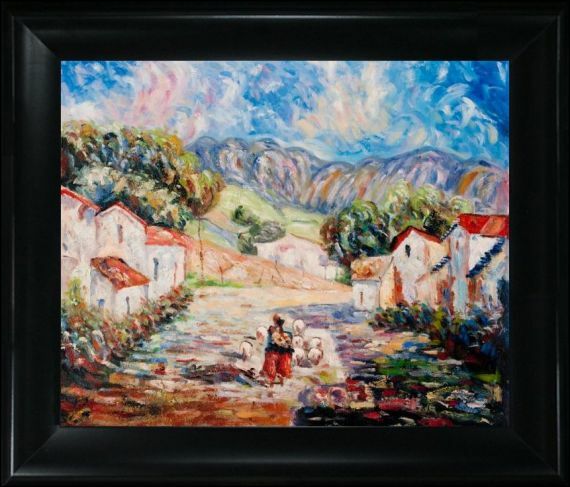 South America's unrivaled beauty is the main attraction in Cecilia Revol Nunez's "Pastores Adobe y Volcanes." 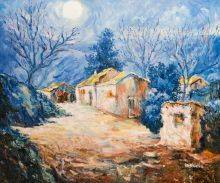 Her painting of an enchanting landscape framed by small village homes makes a delightful addition to any home. 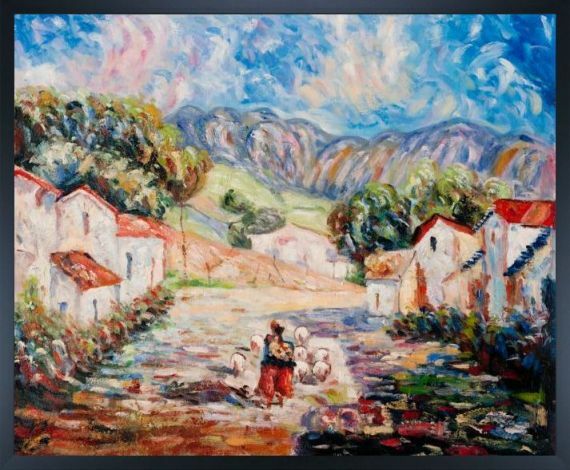 The bright colors and swirling brushstrokes call to mind some of the great Post-Impressionist painters, including Van Gogh and Monet. 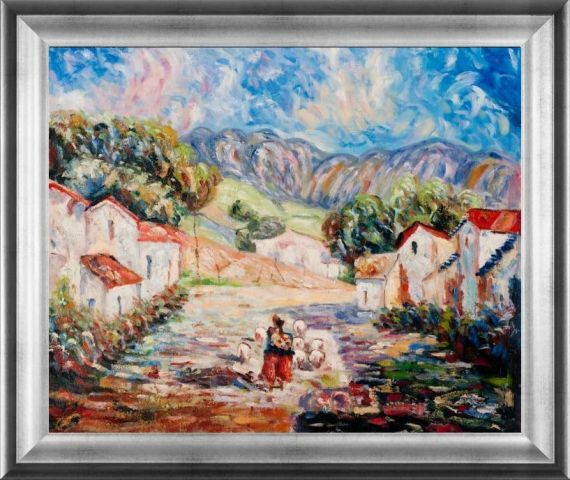 This painting also seems to have a timeless quality thanks to the simplicity of the village homes and the shepherd figure at the center of the road. 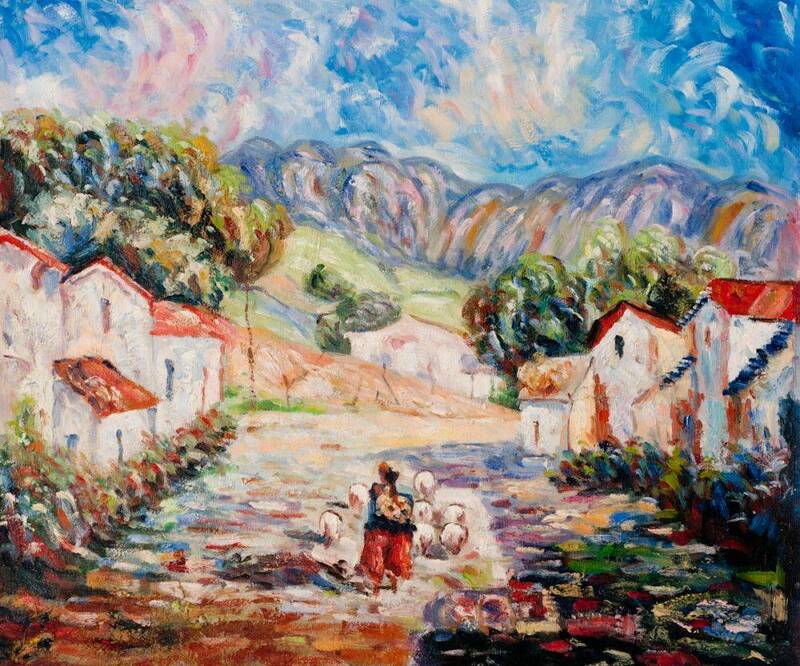 Nunez has found truly remarkable ways to incorporate a rainbow of colors into her work, giving each one an atmosphere that's easy to get lost in. 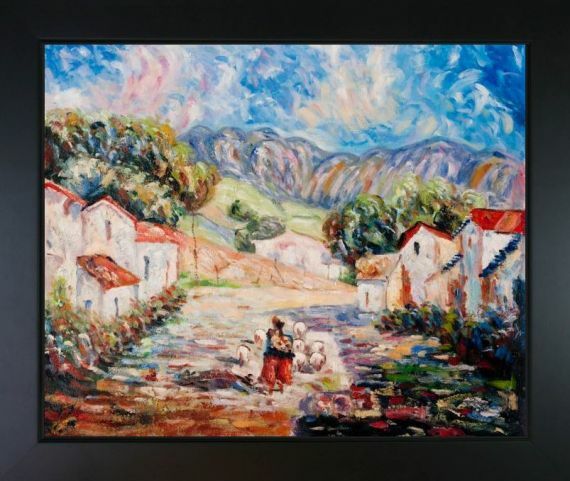 Add a beautiful contemporary work of art to your home with this beautiful oil painting reproduction of "Pastores Adobe y Volcanes" from overstockArt. 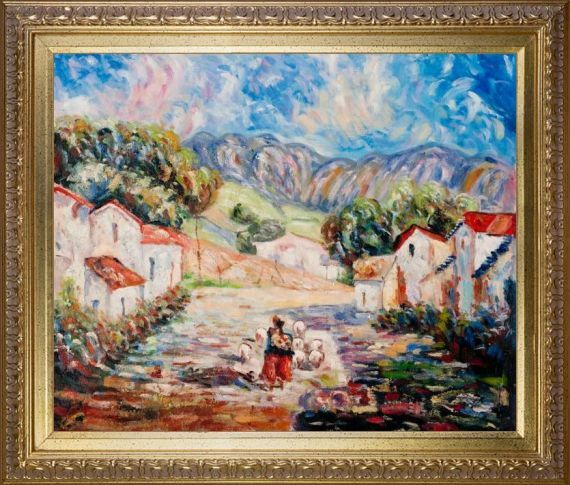 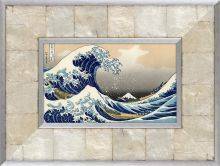 This gorgeous piece by Cecilia Revol Nunez adds color, style and energy to any space.